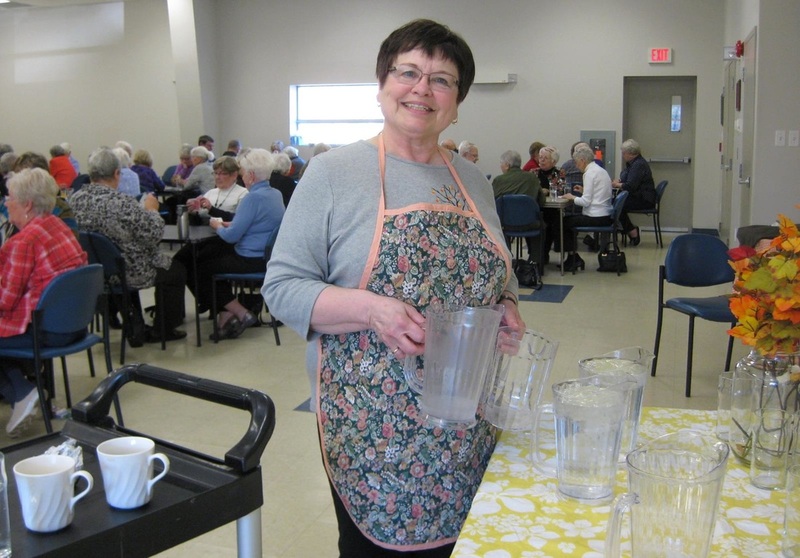 The New Maryland United Church Women (UCW) play an important role in the life of the church. The New Maryland UCW sponsors a child in India through "Families for Children", donates to Transition House, the Christ Church Cathedral outreach program and Hospice Fredericton. The UCW also plays an important part in financing of church supplies and provision of necessities as they arise within our church. ​The New Maryland UCW meets on the second Wednesday of each month, excluding July and August. The meetings are held in the homes of various members. There are currently 24 members in the New Maryland UCW with an average of 12 attending the meetings. Our main fundraiser is a bridge luncheon held in October. Many members of the congregation support us in putting on this event. We are always happy to welcome new members to our group. To unite women of the congregation for the total mission of the church and to provide a medium through which we may express our loyalty and devotion to Jesus Christ in Christian witness, study, fellowship, and service. Dorothy Webster gets ready to call up the next player at the 2018 UCW Christmas Party Yankee Swap. Looking on are Shirley MacConnell, Loraine Ward and Sheila Power. UCW put a new spin on the word "swap" as they aggressively went after the gift they wanted, all in good fun of course! The UCW hosted the spring bridge luncheon in April, 2016, an event that was once again enjoyed by many. ​The UCW enjoy fellowship with a fun evening at their 2016 annual Christmas party. 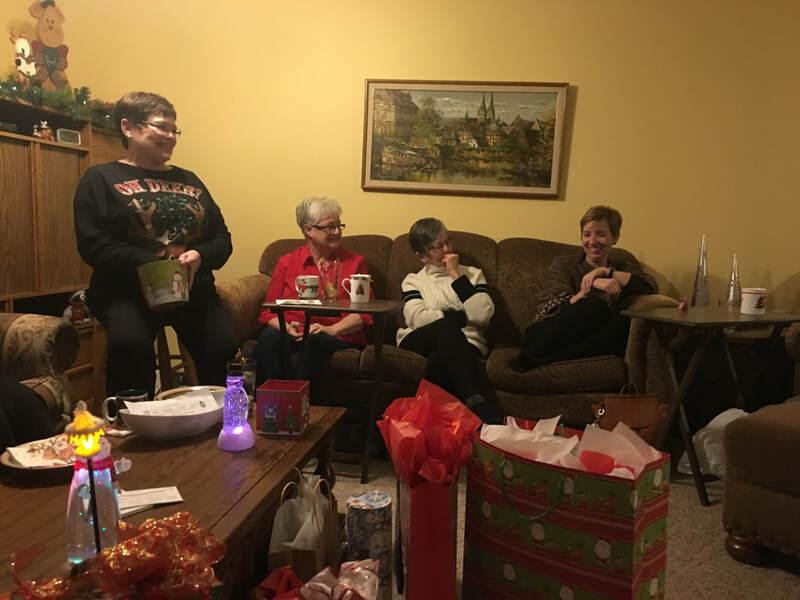 After tending to the serious work, members enjoy lots of laughs as they take part in the Yankee Swap.